Re-engagement is a technique used by marketers to reach out to leads who were at some point interested in and engaged with their company, but have now gone cold. The goal of re-engaging leads, quite simply, is to ignite that spark in the relationship once more! Today, we’re going over general strategy and some best practices for B2B and B2C marketers to make use of when creating effective re-engagement campaigns. Did you know that brands lose an average of 25% of their mailing list annually, and between 25-50% of customers become inactive? While customer turnover is to some extent part of the marketing circle of life, acquiring new customers can cost 4-6 times as much as retaining old customers. This is why making the effort to warm up “cold” leads is well worth the investment-- provided you understand how to pick your battles, of course. The cornerstone of your re-engagement campaign will be your email strategy. This requires great copy, tactful timing with regards to sending schedules, and continuous research and analysis of both the recipients and their responsiveness to the emails. Notedly, an effective campaign most often requires a structured series of emails rather than a single message. A study by ReturnPath found that 14% of subscribers who received “win-back” emails read them initially, but this number increased to 45 percent for subsequent emails. Keep in mind that your strategy should focus on encouraging inactive leads to keep your company top of mind; frequent, but un-intrusive interactions are key. 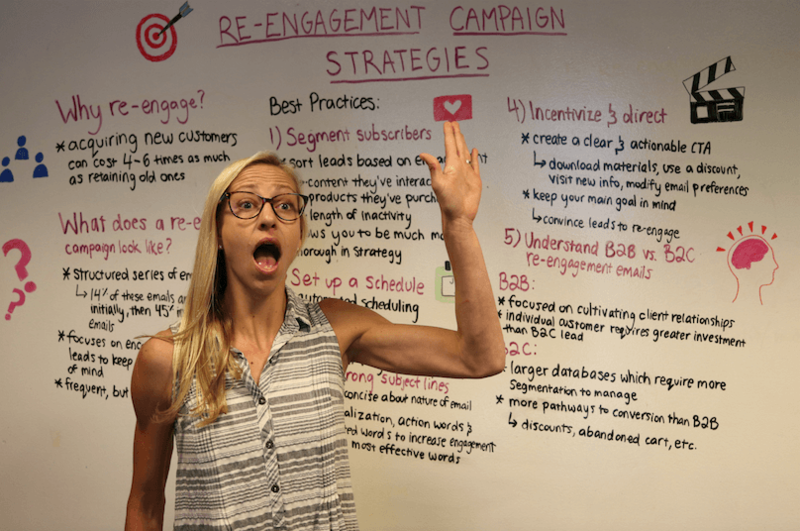 Now, let’s explore some more best practices for your re-engagement campaign. You can be much more thorough with a re-engagement strategy when you know how to differentiate hotter leads from colder ones. Lead segmentation does just that-- your contacts can be assigned to groups with similar characteristics, needs, and interests using characteristics based on demographics or behavior. When you better understand your lead demographics, it is easier to implement better targeted re-engagement campaigns. 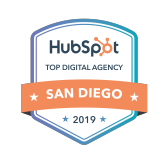 In this case, it would be appropriate to sort leads based on level of engagement, from least to most engaged, and focus proportionally on each tier. The criteria by which these are assigned are up to you; potential option can include the content the leads have interacted with, the products they have previously purchased (or viewed), and how long their period of inactivity has lasted. Don’t be too concerned about shrinking your campaign contacts list through segmenting! By sending the right content to those leads who will be receptive to it, you will be maximizing efficiency and investing in all the right places. Ideally, various types of email sends in your campaign should be “triggered” by lead behaviors throughout the re-engagement process-- a click on a piece of content, for instance, should yield a different email than a click on a discount-based offer or abandoned cart link. 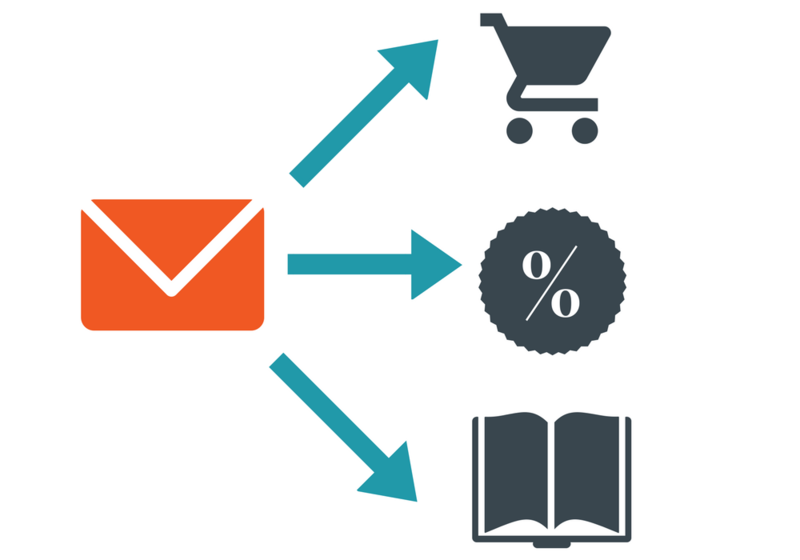 To put it simply, behavior-oriented emails cater more precisely to recipients’ needs. With over 75% of email revenue being generated by automated campaigns rather than lone blast emails, a smart automated schedule is a must. Your re-engagement timeline should be neither too long nor too short, on a timeline of weeks or at most, a couple of months (for example, a 30-60-90 day scheme). By starting your re-engagement attempts early, you will provide yourself ample time to adapt your strategy through continuous testing. Thankfully, there is no shortage of email automation software on the market to fit any marketer's needs! It’s crucial for your email subject lines to capture a recipient’s attention, and re-engagement emails are no exception. Although certain emotional buzzwords have been proven to work well for open rates, it’s also important to be clear and upfront about the nature of the email, and potentially the offer enclosed. Re-engagement relies on specificity for leads who lack the time and patience to make sense of your email as one among hundreds in their inbox. Using personalization, such the recipient’s first name, as well actionable or emotion-tinted words in your subject lines can increase open rates considerably. The emotions involved can range from guilt to suspense to amusement-- the intent is to engage. As for the specifics of which word choices are most effective, testing is the only definitive way to improve results and tailor your strategy. Once you better understand your leads through their segments, it is time to introduce the proper incentives and offers into your re-engagement campaign. The main goal-- to convince leads to re-engage with your company-- should be kept in mind when creating a call-to-action (CTA). As with subject lines, conciseness and appeal to emotion can make all the difference. The re-engagement strategies for B2B and B2C marketing campaigns overlap in many ways, though of course the structures of the two differ in a number of aspects. That being said, there are marked differences that must be accounted for when re-engaging B2C leads. Though present in B2B e-commerce, one variety of re-engagement email far more common to B2C is the abandoned cart message. With 67% of online shopping carts being forgotten before a sale is completed, abandonment is a leading cause of leads going cold. This is where cart reminder emails come in! An effective and un-obnoxious email of this variety should remind the recipient of the offer what they're missing out on with some degree of urgency, and offer an easy way for them to re-enter checkout in the CTA. Though the majority of re-engagement is conducted through email, other outlets can also play a valuable role. For a more creative and personalized approach, it may be possible to send an old-fashioned card through the mail or reach out over the phone. What is important to keep in mind is that the nature of the prompt shouldn’t sound like a hard sell, but rather touch on a topic likely to be (or at least, once have been) relevant to the customer; perhaps there is an opportunity there to address a concern or pique interest anew. Finally, understand that losses will inevitably occur despite your best effort. If a subscriber fails to interact with your emails for an extended period of time, there comes a point where it is for the best to let them go. Such leads will only continue to sap your time and campaign resources while potentially harming your delivery reputation. There are plenty of other subscribers out there waiting to be engaged again! 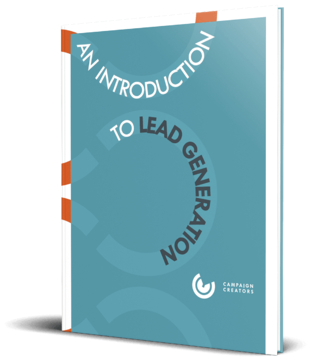 For more help developing your lead nurturing strategy, download the How to Create a Lead Nurturing Campaign Guide. This blog is a part of our Definitive Guide to Lead Nurturing blog series and Your Definitive Guide to Conversion Rate Optimization blog series.